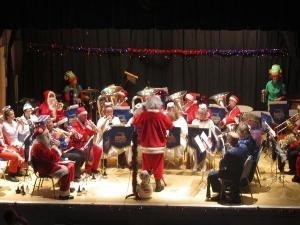 The Jedforest Instrumental Band Will close its Championship Winning year with its annual Christmas concert which will be held in the Jedburgh Town Hall on Sat 19th Dec. Doors open at 6.45pm with the Band on stage at 7.30pm. Tickets are priced at £6 / £5 and are available at the Lothian Road Spar and From Me to You on the High St or at the door on the night. A fully Licensed bar will be available with all profits going straight to the band. The JIB will be accompanied by the junior bands of Abbey Brass and the Band Buddies. Come along for what promises to be a night of festive cheer. The JIb, Abbey Brass and Band Buddies will be holding a concert in the Jedburgh Town Hall on Sat 3rd October. Playing a wide range of music all three bands promise a fantastic evenings entertainment. The Jib will be conducted by MD Philip Rosier with Abbey Brass and Band Buddies led by Stuart Black. Tickets cost £5 and £6 and are available from 'From Me to You' on the high st. Band memebers and on the door. Doors open at 7pm with the band on stage at 7.30pm. A fully licenced bar with table service is also available. 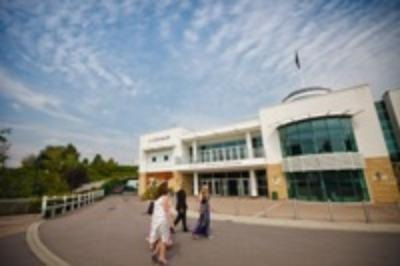 The JIb traveled to the British Championships in Cheltenham in good spirits and hoped for a good result even though a top 6 finish would be tough ask. Playing Steven Roberts 'Snaring of the Sun' test piece, the band a limited time to prepare it and put a huge amount of work into it over a short period of time. Playing off a number 4 draw the band certainly gave a decent performance of the stern test but after the dust had settled the adjudicators placed the band a disappointing 14th out of 17. A fair result given the standard of the bands competing but one in which the band feels could have been better. This is the highest level the band has ever competed at in over 160 years of making music and to finish the 14th best second section band in the UK is still a great result. Now the band can look forward to playing in the 1st section next year, another first, and although it will be tough, the band hopes to build from that and stay in the section. Click link to hear our performance. 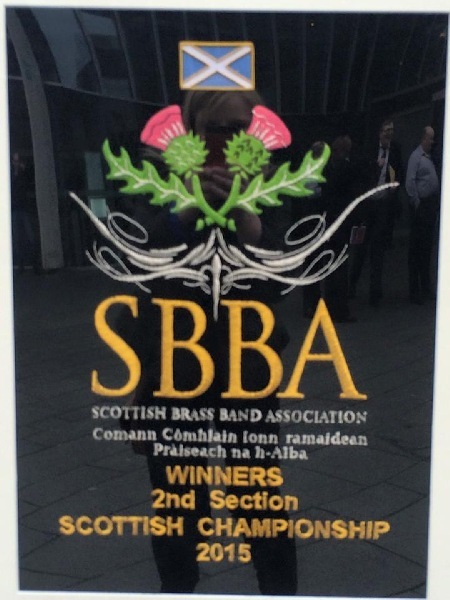 The Jib is gearing up to take part in the Brish Brass Band Championships on Sat 18th September by representing Scotland as the 2nd Section Champions for 2015. Playing the test piece,' The Snaring of the Sun' by composer Stephen Roberts, the band will be conducted once again by MD Philip Rosier. Traveling to Cheltenham on the Friday the band will stop overnight to prepare for the days contest. After a very busy summer season the JIb has been chosen as one of 12 bands to take part in the Edinburgh International Festival. Bands from across the country including JIb are preparing to gather in the east coast for the prestigious event at the 2015 Edinburgh International Festival (EIF). Fanfare is a free community event that will tap into one of the most enduring symbols of Scotland, the beloved brass band. The festival has called on the Scottish Brass Band Association (SBBA) to harness the enormous forces of Scotland's brass bands by presenting a day of free outdoor performances along the city's idyllic Water of Leith Walkway on Sunday, August 23. Bringing the fanfare of EIF out to the people of the city, this is an opportunity for everyone to enjoy brass bands at their best, playing favorites from Mahler, Elgar and Burns as well as some more unusual brassy renditions of popular music by Kraftwerk, Joy Division and Disney's Frozen movie song Let It Go. The bands will perform three different repertoires at 12 noon, 3pm and 5pm, in 12 different locations along the Water of Leith Walkway so that audiences along the walkway will share the joy and passion of the live brass band in a coordinated community experience. Fanfare aims to capture this spirit of community by inviting everyone in the city to experience the heart-swelling flourish of brass band music and is one of the festival's Creative Learning projects. The Creative Learning team work year round with schools and the community in Edinburgh to deliver a range of innovative creative learning experiences. Fanfare is inspired by the performances of one of the EIF's main music theatre pieces, En avant, marche!, at the King's Theatre on August 24 and 25, which will feature a local brass band alongside Belgian contemporary dance collective les ballets C de la B. More information about Fanfare is available by logging on to the Edinburgh International Festival website. The JIb will be performing in the saughton Rose Gardens at 1pm, 3pm and 5pm. The result on Saturday helped the JIBs principle euphonium player, Scott Renwick complete and brass banding Grand Slam. Having previously won the 4th Section with the Mactaggert Scott Loanhead band, the 1st and Championship sections with Newtongrange Silver and of course the 3rd section with the JIB, Scott finally completed the 'Grand Slam' by helping the JIB win the 2nd section. A huge congratulations goes to Scott from all at JIB on completing this amazing achievement. There can't be many to have done this! The band traveled to Perth in good spirits on Sat 14th March to take part in the Scottish Brass Band Championships. And Won!!! Under their professional conductor Phil Rosier the band has been rehearsing steadily for the past few months, sometimes devoting an entire weekend to mastering the modern test piece - 'Variations on Maccabeus' , based on an original theme by G F Handel. MD Philip Rosier added " I am delighted with the result. The bands work ethic and team spirit once again delivered a first class performance. It was a pleasure to direct a musical account of the piece." The result also gains the JIB a trip to Cheltenham to represent Scotland in the British Championships in September as well as promotion to the 1st section for the first time in 160 yrs. Rehearsals are now underway for the upcoming Scottish Brass Band Championships held in the Perth Concert Hall on Sat 14th May. The Jib will be conducted by Philip Rosier and is looking forward to playing this very challenging test piece. The JIB Started off the New year in fine (but wet) voice when 20 members made it out on the annual New Years Day march round the town. 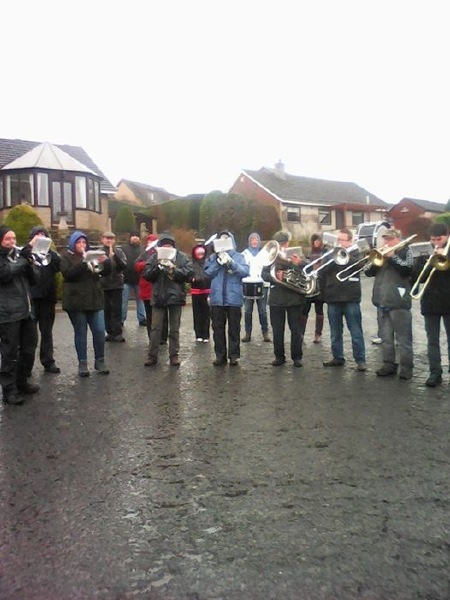 Starting at 9.30 am, the band made its way round a damp Jedburgh stopping only to enjoy the hospitality of the towns folk. The day ended around 2.30pm with a cup of tea and a biscuit in the band Hall. (only some of that is true).